A selection of spare parts for the Polaris 380 Automatic Pool Cleaner. 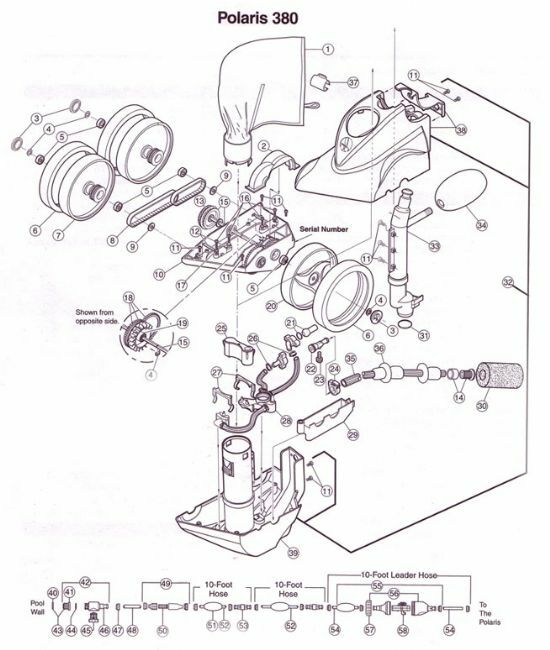 Use the image below to identify the part(s) you require, then select the correct item from below using the item number - (shown in brackets) in the product title. Don't see what you need? Call us on 01252 511292 and we'll be happy to help.